Am I The Next Kamala Harris? 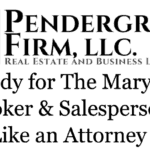 ~ On The Duty Black Lawyers Owe The Community | The Pendergraft Firm, LLC. 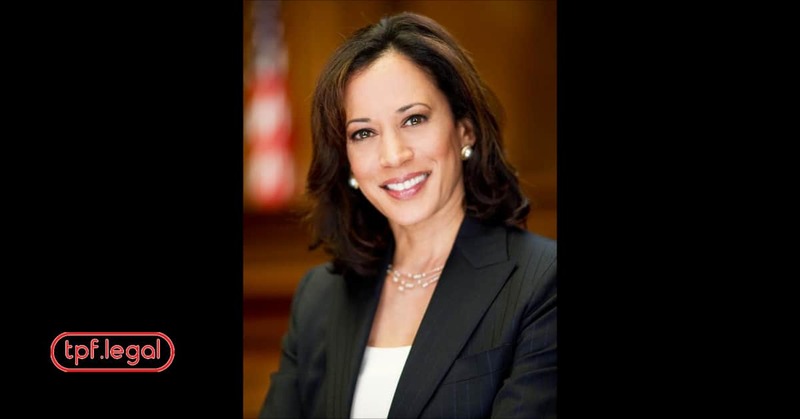 Recently Kamala Harris has come under fire for her record as a Prosecutor. 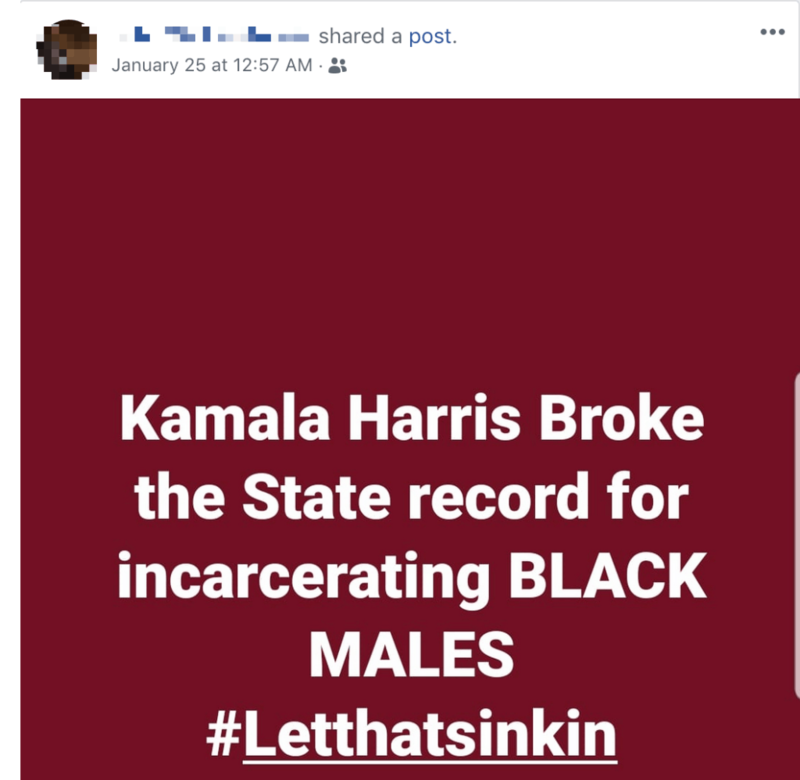 Perhaps the most egregious claim I’ve seen floating on social media is that she has broken the State record for incarcerating black males. Here is the exact screen shot of the post I’m talking about below. Many people like the poster above refuse to support her for locking up black males. And, I can emphasize with this position. Just look at me. It’s always easy to pick up a pitchfork and join the outrage mob. That’s what social media is for nowadays. But it’s not so easy to pick up a pitchfork when you realize that you could in fact be stabbing yourself. Am I The Next Kamala? Let me explain. 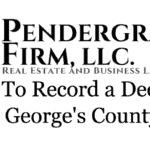 I am a real estate attorney that primarily practices law in Prince George’s County. I’m from here. For readers who don’t know this is the highest earning majority African-American County. 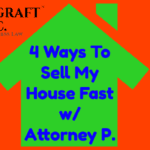 My bread and butter is evictions and tax lien foreclosure. If someone was to examine my record they would find that the majority of people I’ve filed for eviction against are black people. Does this make me an enemy of my people? Or am I just a guy that’s doing my job? I don’t take color into account when I’m doing my job. My clients are all races and genders. My adversaries are all races and genders. I am employed to do a job. And I do my job well. 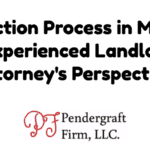 If I continue on the track that I am now I will one day be Maryland’s premier firm at evictions. But does this make me an enemy of the people? Particularly to black people because that’s just how the cookie crumbles. Does this make me a damn good eviction lawyer? Is Kamala Harris a damn good prosecutor for breaking records or is she an enemy of black males? Or does this make us bad people? Do black attorneys have a social responsibility or owe a duty to push policies to help heal the black community? Is Kamala supposed to be lenient when prosecuting black males? It is my assumption that Kamala is just a tough prosecutor and that she was tough on everyone regardless of race. In the same manner my goal is to regain possession of real property whether or not the occupants are black, white, or brown. Someone has to do dirty jobs. Someone has to be a prosecutor. Someone has to foreclose. Is it even possible to do these jobs in a manner in which the Public approves? Show me a prosecutor that is loved by the world. Perhaps there is an argument that a Prosecutor has a higher duty to the Public (Or a black prosecutor owes black males) than what I owe to my people as a Private attorney. I think it’s fair to say that a prosecutor can adversely impact someone’s life more so than I can. Fair enough. And I’m in the private sector. I have an ethical obligation to do what I am paid to do. And that is to deliver results as soon as possible. Ironically, if I don’t deliver results then I won’t have a roof over my head. For a Public sector attorney, it’s a bit different. They don’t get paid for increasing their number of convictions. (Unless the prison industrial complex is deeper than I thought). So perhaps prosecutors can be paid to do the most “good” and that could be to focus on rehabilitation. 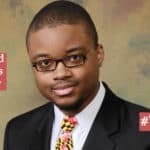 It could be argued that black attorneys should be trying to serve the black community by aiming to break records for the amount of black males that they managed to rehabilitate. Another issue to consider is the duty owed to my clients and in Kamala’s case, the State. 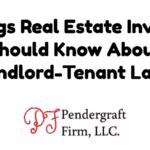 I help many small landlords that as a result of no longer receiving rent have had to short sale their rental homes. As a prosecutor Kamala has helped victims of serious crimes get justice. To these people that need us, we are doing a lot of good. We are there heroes. Does the duty we as black professional owe members of the black community outweigh the duty owed to the people that we are helping? I’m not asking for empathy for myself. I know what comes with the territory of doing the “dirty job” that I do. I understand that I will be hated. I know that I do not hate my people. Nothing anyone tells me will make this true. People will hate me. My clients will love me. And I will continue to do my job. And people will attach whatever narrative to me and what I do that they want. And you’re free to attach whatever narrative you want to Kamala or anyone that does a dirty job. A Prosecutor of all people knows what comes with the territory. Will I pick up pitch fork and join in too? Probably not because I’m not into politics. This conversation just made me think about the duty black attorneys owe the black community. But if I did I wouldn’t pretend to know what is in her heart.